Country and Townhouse magazine is the biggest name in country estates and all the information that you need to find out about homes in the countryside. Buy a single copy or subscription to Country & Townhouse magazine. Are you looking for the latest information on the property market so you can make the right investment. 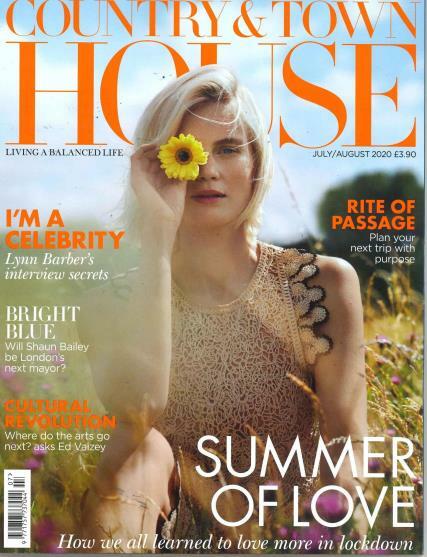 Trust in, Country and Town House magazine to give you everything you need. Town houses are being considered the best investments in today's day and age and are the best places to retreat from the madness of city life. The beauty that is associated with country property is a relic of our recent past and we should try our best to maintain this through our relationship with nature. It is basically a home interest magazine that gets you in touch with all the leading names in building, maintenance and decoration of town houses which also includes such things as gardening, interior design and maintenance of property. All the advisers and experts are big names in their own fields and have the most to contribute to an understanding in their own profession. The readers, most of whom have remained loyal subscribers vouch for the authority and accuracy of our reports and features and we pride ourselves on the panel of experts who contribute regularly to our magazine.